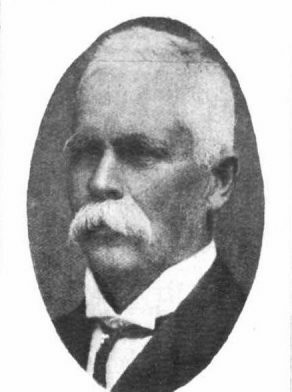 Waterloo Alderman Thomas Lamond (The Sydney Mail and New South Wales Advertiser, 11 November 1908, p. 1260. Thomas Lamond was born in 1840 in Coolangatta, NSW, son of James Lamond and Isabella. He married Elizabeth Robinson in Sydney on 23 June 1865 and they had eight children, 4 sons and 4 daughters. Thomas Lamond died 4 June 1912 at ’Zetland Lodge’, Bourke Street, Waterloo. His wife also died here 1 March 1916. Thomas and his wife were buried in the Old Presbyterian Section of Rookwood Cemetery. He left a Will and his estate and assets were assessed at £6,878. Thomas Lamond started work as a jockey: he was a strapper to Archer (first Melbourne Cup winner) in Etienne de Mestre’s stables at Shoalhaven, NSW in 1860. He settled in Sydney as a trainer c1865; trained for Sir Hercules Robinson and won the Melbourne Cup in 1881 with Zulu. He also trained four Sydney Cup winners. Lamond was a specialist with two year old horses and he maintained a string of horses at ’Zetland Lodge’, an impressive residence with training stables where he lived from 1878 until his death in 1912. Professional trainers like Lamond often worked exclusively for one owner. Until the emergence of proprietary clubs and the establishment of more Randwick race days, trainers had to travel far a field in search of meetings. Lamond was Vice President of the Waterloo Benevolent Society 1905. Rate payers held a banquet in his honour in 1892. He was prominent in the activities of the Waterloo and Alexandria Relief Committee and he was a justice of the peace (JP). Thomas Lamond was an alderman on Waterloo Council in 1887-1906 representing South Ward. He was mayor in 1892, 1897-98 and 1903. Martin Painter and Richard Waterhouse, The Principal Club: A History of the Australian Jockey Club, Allen & Unwin, North Sydney 1992, pp.172-173.